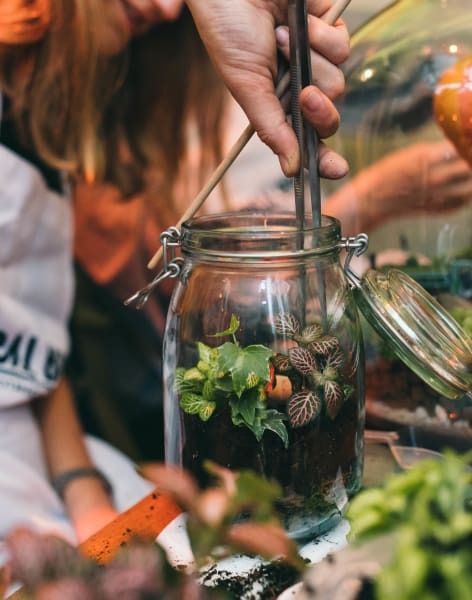 Whisk yourself around the world in 80 days and build a kilner jar terrarium at this exclusive venue, Mr Foggs House of Botanicals. 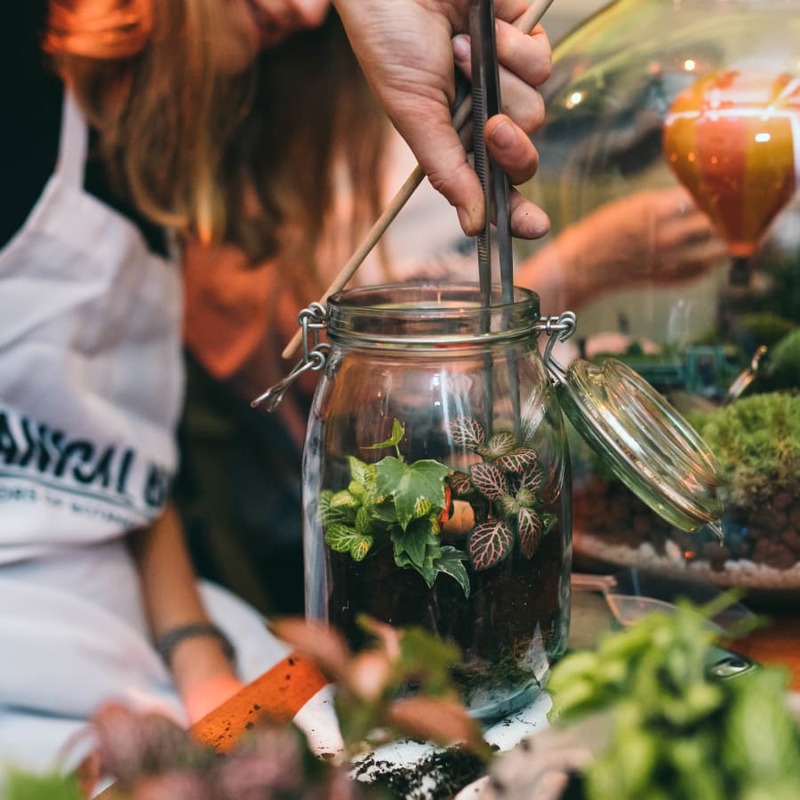 Botanical Boys have set up residency at the amazing Mr Foggs, House of Botanicals, Fitzrovia to offer all our Obby guests a special Tuesday night terrarium class and a bespoke cocktail included in your ticket. On arrival you will be whisked up the spiral staircase to the greenhouse space where you will be surrounded in plants and offered your cocktail as the fun begins. About your included Cocktail: Enjoy a herbaceous Flight of the Hummingbird cocktail, guaranteed to have guests in a flutter with its blend of Bacardi Carta Blanca, Aperol, Raspberry, Spiced Pineapple, Celery, Citrus and Egg White. We have held many events in this space for private parties, corporate events and for anyone wanting an alternative Tuesday night out. It is an incredible space with an invigorating menu of cocktails you can try out to make your night a truly magical experience. 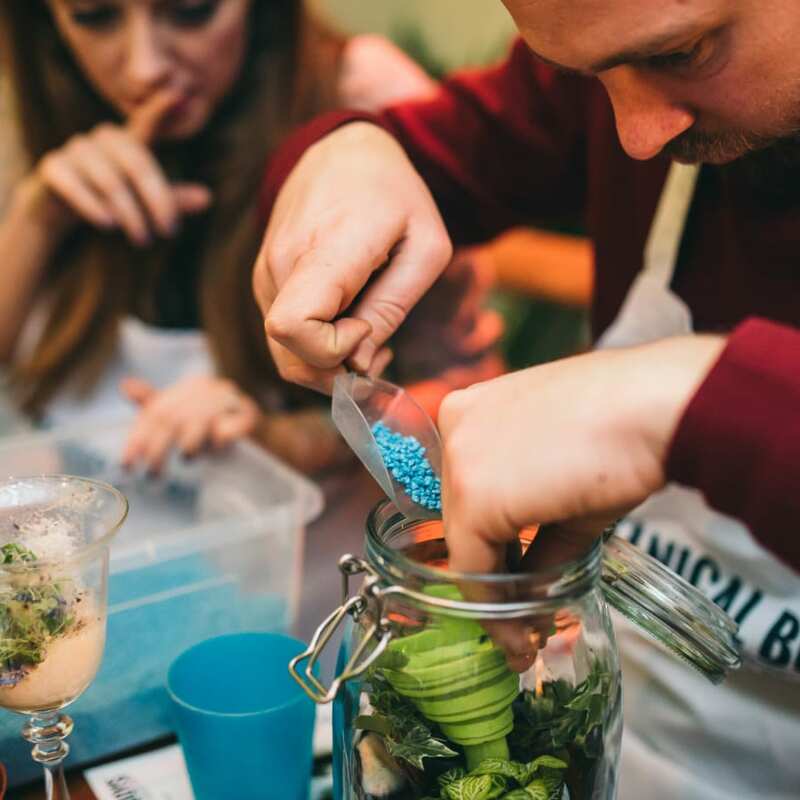 We look forward to seeing you on Mr Foggs journey at The House of Botanicals. 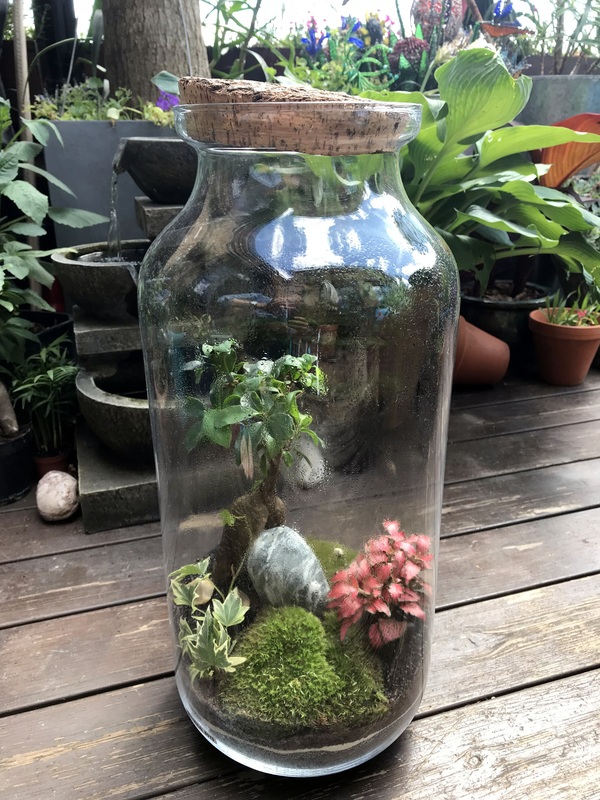 Did you know the earlier terrariums where made to transport plants to protect them from the high levels of air pollution in the Victorian times! The first one being made was a Wardian Case by Dr Nathaniel Ward in 1829. Beautiful setting, friendly instruction and very happy with my creation. I had a brilliant evening - thanks so much!